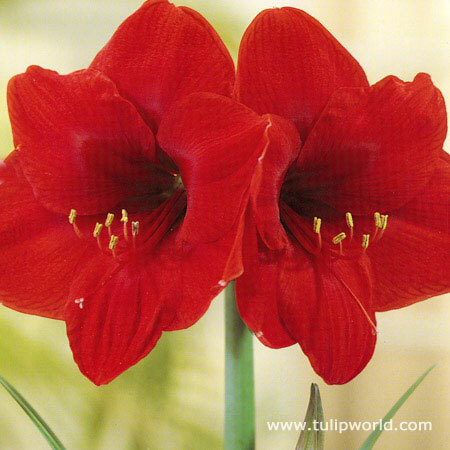 Why not add a little color to your holiday season with the Red Lion large flowering amaryllis. This plant will bloom all winter and add a touch of spring to your home! It needs very little watering. It can take7-10 weeks for them to bloom. The bulb is huge and very healthy. It is growing and I am expecting it to produce flowers as pictured. Absolutely stunning! I will post a picture on Twitter. 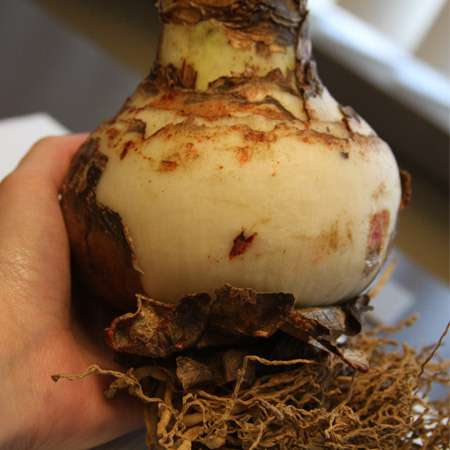 This is by far the largest amaryllis bulb I've ever seen, and it is top quality. It seemed to start growing as soon as I opened the box! The price was also amazing, based on the quality and size of the bulb. I'm extremely happy with this purchase. I would certainly buy more if I had the room! I bought red lion jumbo bulbs after the holidays. I expected that the bulbs would not be perfect. I was wrong , very wrong. The bulbs are huge even larger than the 36/+ size in the description. They were individually wrapped in burlap bags and appropriately tagged and packed. And the best part of all, you cannot buy bulbs that size anywhere that inexpensive. I am very very pleased.